graphic design | So Pretty is as Pretty Does. As promised in yesterday’s post, “A new coffee table! 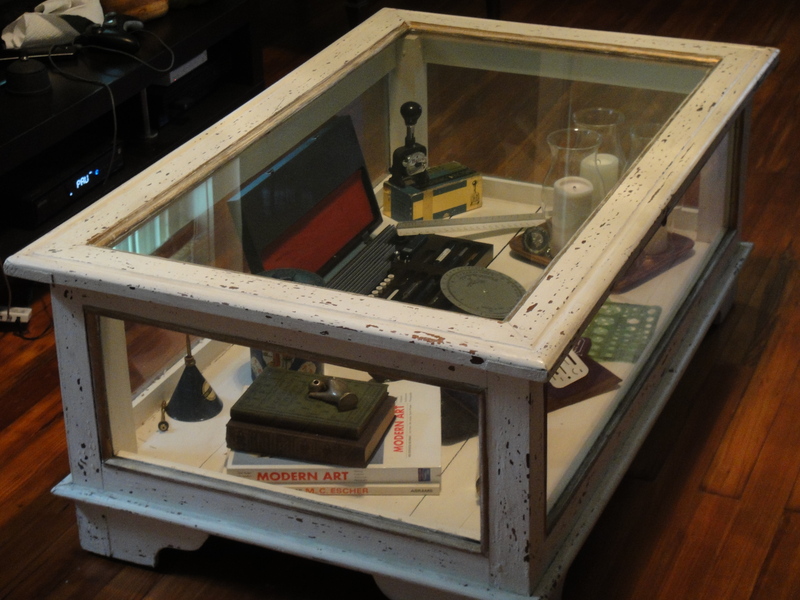 Sort of…” my new-ish coffee table is upright, in place and the glass seems really secure. The beauty of designing this little space is that the display case opens and closes easily, the contents within are by no means permanent, which is sort of liberating. I love creating vignettes throughout the house, but I sometimes agonize over decisions because I once I design a space I feel like should stay that way, at least for a little while. But, the display case can be ever-evolving – like a mini-gallery, and I like that. I used some really neat graphic art supplies and drafting sets that my Dad and Granddad used when they worked at the Newport News shipyard. This arts and design theme is a great reminder to stay creative.